Brilliant place, our 3 year old daughter had a fantastic time. It’s great to have this place on our doorstep. Enjoyed it so much we signed up for yearly membership. Thoroughly recommended. Win one of our fantastic parties! There are 5 different parties to choose – from a party for toddlers, right through to exclusive use of the entire centre for up to 100 people! 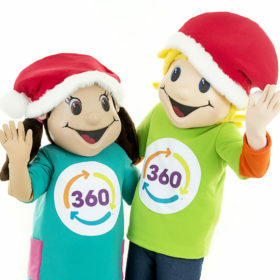 Visit our Facebook page 360 Play Rushden Lakes, to be in with a chance of winning one of our parties. All customers of 360 Play must register with us. Membership registration is a one-off payment of £5 per family group. Currently we are offering FREE registration if you register online before your first visit.